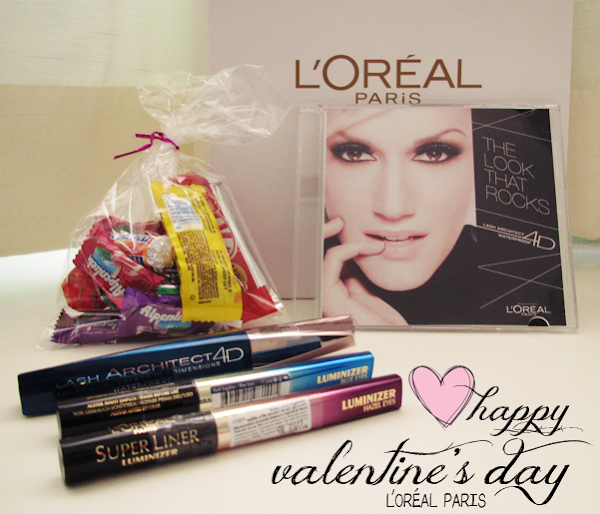 Earlier this month, I received L'Oreal Paris' Valentine's Day gift to me. (: Thank you, L'Oreal Paris for the sweet surprise! Come March (Which is just 3 days' away! ), L'Oreal Paris will be launching the Lash Architect 4D ($27.90) and the Super Liner Luminizers ($20.90). 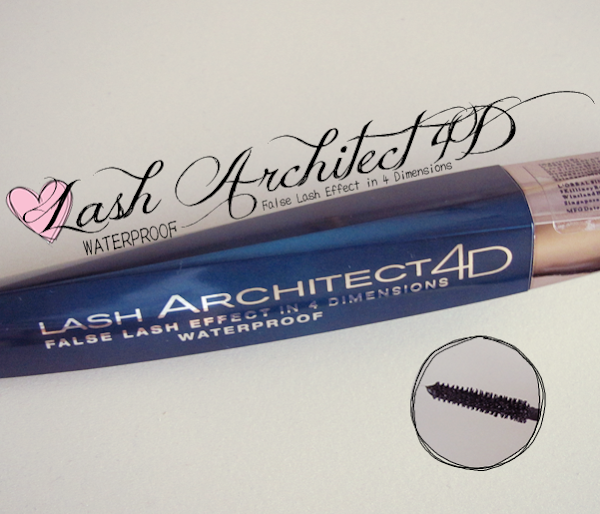 The Lash Architect 4D, available only in a single shade Noir, provides volume, length, texture and curl, all in one swoop! The secret to its awesomeness... 4D fibers which are just 4mm long! They help to sculpt your lashes without any hardening or stiffening! The brush is designed at an angle so that you can get at every lash easily and achieve the false lash effect within seconds! And tadahhh!!! Here are my eyelashes, looking oh-so-long and luscious!!! I have two coats on in the photos above. 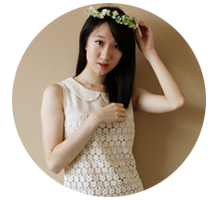 One coat gives very natural-looking lashes, which are well-defined. Two coats will mean slight clumping but gorgeously long lashes! As the brush is pretty small and angled, apply masacara to the lower lashes become an easy peasy task! The only downside is that long and warm days will see some smudging at the end of them. 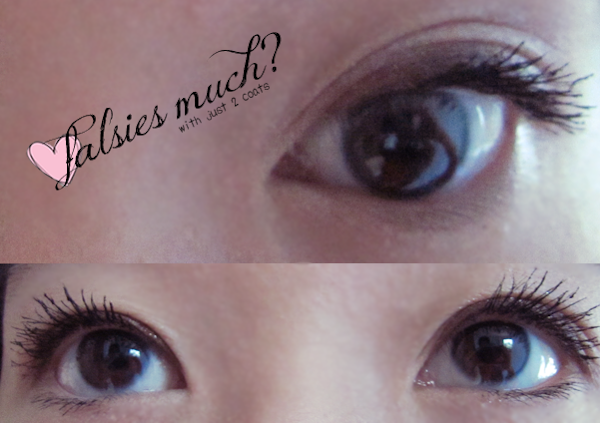 I think that the Lash Architect 4D creates a more obvious falsies effect than the Maybelline The Falsies Volum' Express Washable Mascara (Click here to read my review!) 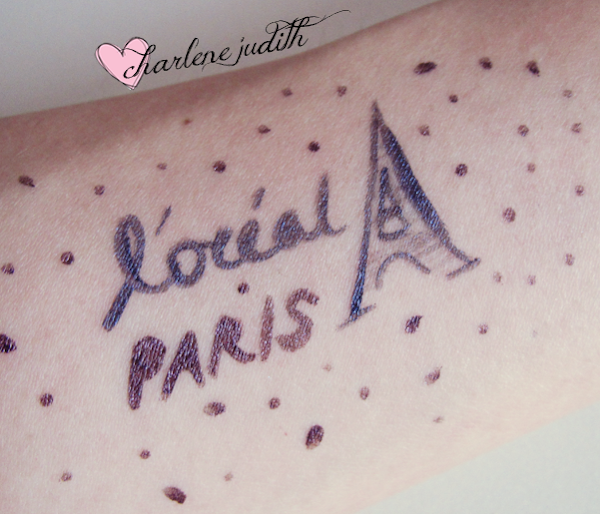 and it is because of this, that I prefer the L'Oreal Paris one. 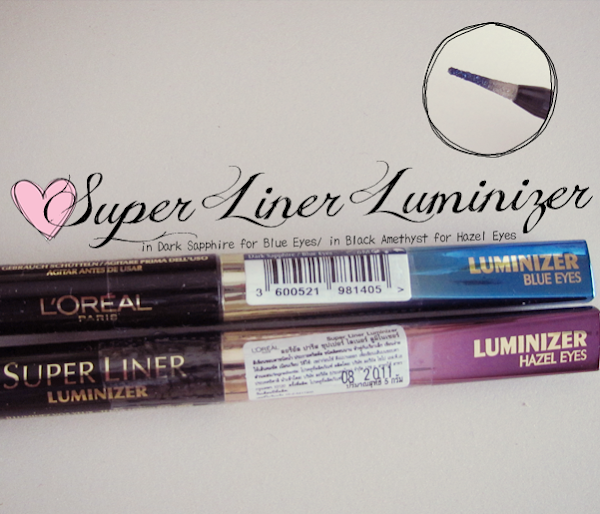 The Super Liner Luminizers come in 3 shades; Vibrant Sapphire, Amber Brown and Sparkling Purple. These liners intensify your eyes with light-reflecting particles. The shades and sparkles are more prominent under direct sunlight. They appear a lot deeper indoors... Almost black!